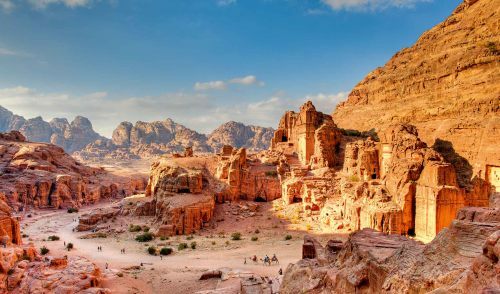 There are flights available on Saudia from Toronto to Amman, Jordan for $606 CAD roundtrip including taxes. The flights have 1 stop each way, in Jeddah. Expedia.ca is showing them for $612 CAD. 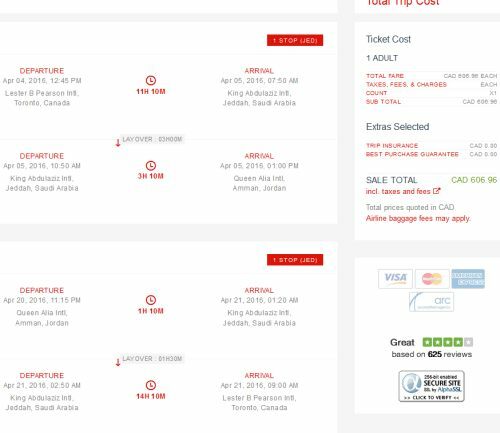 They are also bookable directly on the Saudia website, for $613 CAD. toronto, yyz, flight deals, the middle east, amman, jordan, amm and saudia.